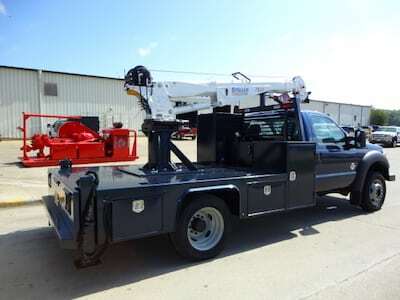 The truck beds we service at Floyd’s Welding Service are used in a wide variety of applications, and vary widely based on the operator’s preferences and its applications. Gas companies, utility companies, maintenance and service operations, and of course oil field applications are some of our typical customers. We both build custom beds as well as install other manufacturer beds (such as Stahl, Knapheide, Auto Crane and others) based on your preferences and needs. The most important aspect of our truck beds is their heavy duty construction, giving them the strength needed to hold up to the abuse of heavy, daily use. We can modify or build on your existing truck, or we can help you locate a suitable truck through our network of vendors. We can also repair and/or refurbish older units, giving them renewed purpose and extending their usable lives, for less than the full cost of a new set-up. Floyd's Welding Service provides custom truck beds and more to Olney, Vincennes, Effingham, Salem, Fairfield, Louisville, St. Elmo, Griffin, Crossville, and surrounding IL and IN communities.